Whether you're headed for the arena or off to save the galaxy, bring along a friend from Marvel's Thor Ragnarok! 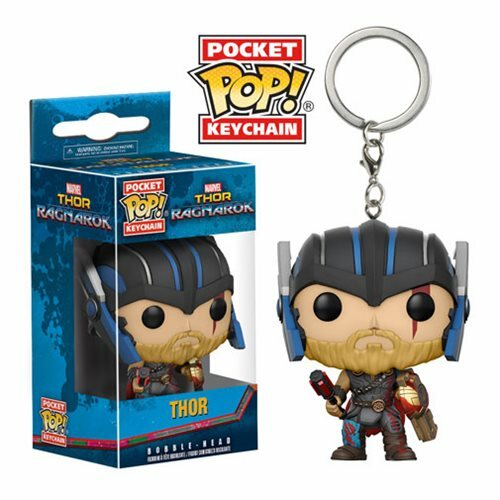 From the silver screen straight to your collection, this Thor Ragnarok Thor Pocket Pop! Key Chain will make your keys or bag look super! Packaged in a window display box, this Pocket Pop! Key Chain measures approximately 1 1/2-inches tall. Ages 3 and up.